Symbian or MeeGo? What’s been wrong with Nokia and what should be done? Even after shaky start and complaints about reception issues (even admittance now), big figures from Apple were already a pinch, then rise of Android backed by today’s God Google, Bada from Samsung riding up on some really beautiful pieces like Galaxy-S, had really got us thinking, if Nokia and Symbian lost the battle of making a truly amazingly Advanced OS and attracting developers around. Many hopes are on next coming Symbian^3, MeeGo, Nokia N8 and Nokia N9, E7 etc .. but will Nokia really be able to match the needs this time? 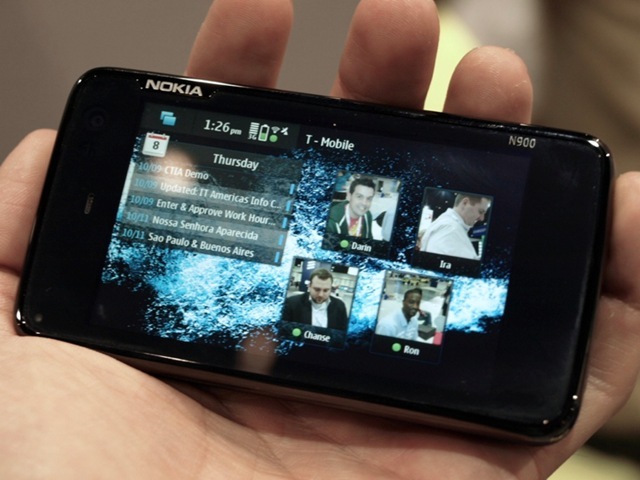 Are late releases and escalated expectations over Symbian^3, MeeGo, Nokia N8, Nokia N9, E7 etc gonna be fatal for Nokia? First of all, why there is this much frustration about Symbian and Nokia, when they seems to doing every best thing for consumers? Are you really given up over Nokia or wishing to bargain more? What’s been the biggest damage to Nokia and Symbian? N97? 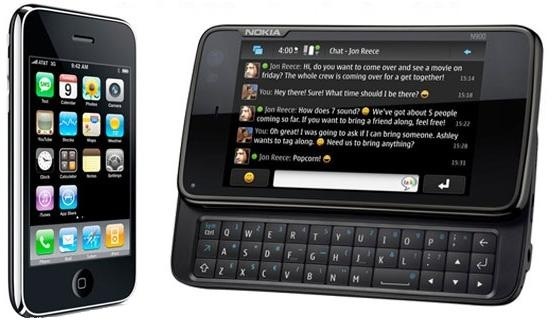 Not only Symbian-Guru, but there will be thousands around, which will come up with only one name… Nokia N97 Classic. The most infamous part of Nokia legacy perhaps destroyed the years goodwill for Nokia and as much they tried to cover it up, things went worse and its getting worsen now due to only the fact that even today, Nokia N97 making the top of the shelf for Nokia. It might be harsh to say, but somewhere everyone of even Nokia fan now understand that each sold piece of Nokia N97 becoming a nail to coffin for Nokia-Symbian. The much over priced phone (even now) was seriously underpowered and frustrated hell out of users. Consumers kept on crying for some firmware update to fix the issues, while Nokia’s probably worse understanding of RAM requirements, had already insured that it will never be repaired. If Nokia really survived the blow of Nokia N97, then it was Nokia N900… only that bring back the hopes that Nokia could do anything right. Nokia N900 still stands as the best resistive screen of whole planet and it does each and everything right… either it be experience, which was unbelievably natural out of the box, either it be integration with existing services like flicker, skype, Gtalk, Yahoo, MSN etc. or it be hardware design and support. 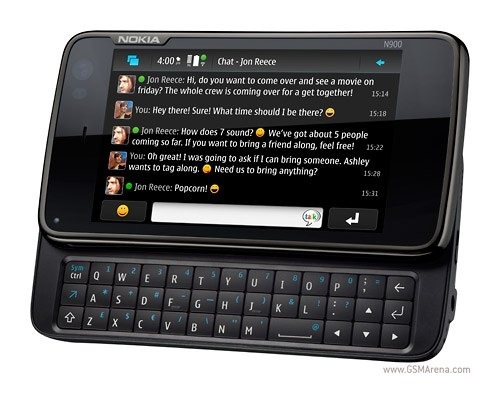 Some think that best choice for Nokia was to exchange all Nokia N97 out there for Nokia N900 in free. What’s kept developers disappointed with Nokia? Nokia knew that they been terribly late in touch phone segment (that’s being touted as Smartphone segment now days) and Symbian was only trying to adopt the touch, never seemed really built for the same. Some think that best choice would have been for Nokia, if they could have joined hands with Google (they couldn’t as both of them are of Giant and dominating nature) rather than joining hands with Intel, but that’s business and you can’t really blame them for that. But what about Developers? Aren’t you making them nuts? For what they should program? Symbian? In a mid level language C/C++? Are you real? Symbian^3, Symbian^4, Maemo, MeeGo? Should they get back to college to learn all these? I really can’t blame them much, Nokia probably got impression from Microsoft vs Apple Vs Linux that its hard to remove impression of something that you been grown up with. They thought if they leave Symbian from here, then they would be needed to start-a-fresh and the fight would be on turf of their opponents and they know that would not be something easy. To complicate things more, there been strong supporters for Symbian itself and legacy of Symbian was kind of unforgettable for even worst rivals, how could Nokia had think of leaving Symbian so easily? If we talk about reasons, then Nokia was a manufacturer first and still they provide the best of hardware in best of price (leave alone Nokia N97 and Booklet 3G). They were making Good OS for non-touch phones (nothing could be more productive than a Nokia E72 or Nokia E52) and they were adding super excellent things like Ovi Maps and all. They were in a league of their own and been the best for “Phone” market and they are even now. Then it came the competition with HTC and Apple, when they entered the market with touch phones and same time with RIM, when they grabbed Business with their QWERTY. Note that Nokia didn’t lead, they adopted and reacted. They reacted to RIM with their E-Series/ Nokia Messaging and to Apple with N97, 5800 and all… Like my Boss often said, proactive work make you win and reactive work will only keep you on toe. Nokia seems to be on toe. You already doing a lot, releasing new handsets back to back, coping up with new technologies being introduced each day and entering new fields every next month, then it happens sometimes that you can’t come up with the tag of being best for everything you do. Nokia winning over RIM in many senses, but touch seems to be sloppy turf to them since start (Nokia N900 is exception) and Apple a hard contender than others. Its not that Apple is doing great .. high figures of sold iPhone4 handsets involve mostly earlier iPhone3GS users, who are just upgrading their phones for a nominal cost from their provider, obviously in hope that it would get something better than earlier. They obviously have no other choice after living up with Apple till now. The part to worry about is, number of developers being attracted and number of apps being made for them. Developers making apps for Apple are on smooth turf as even if thing evolve then they have to update themselves in minor ways like VB people evolved for VB .Net, more over, they have to keep only two or at most three devices in mind but with Nokia.. its been complicated due to its wide catalogue and rather tougher development with Symbian and now its seems to be a real nightmare after ‘debacle’ of Symbian. Its not that Nokia has gone under panic completely and just trying out here and there. Its just… not easy to leave the things which kept you on top over the years and even now. It was hard for them to realize that Symbian might be efficient, could be improved and polished well, but it wont be able lure developers due to its inherent difficulties in developing apps with it, specially due to a larger range of products people expect a Symbian App to support. The announcement that Nokia N8 is last Symbian based N-Series had its strong reasons and indications, which if would have taken in right sense, then there were not that disappointment all around that someone would be needing to say that they lost hopes with Nokia. Why Nokia?? Your disappointment been with Symbian, isn’t it? Symbian^3 was announced to be based upon Qt and reasons behind the same were to provide a smooth transfer of existing Symbian developers over Qt, which will be compatible with MeeGo and all…they engineered a brilliant hardware in superb cost (in fact a bit cheaper than they could have afforded), so that more and more people could be attracted to the same and so developers might have their reasons for developing on Symbian^3 due to popularity of N8. That was better to them in longer sense even if they get much lesser margin on Nokia N8 handsets. Later on Nokia N9 and E7 like devices were aligned to be launched with MeeGo, which will already be having as many apps as people might have developed for Nokia N8 already. You can understand that a Smartphone with superb hardware is of no use till you don’t get developers from all the globe giving nights over developing apps for the same. It really frustrates when now days, we see every second big app saying its available for Android and iOS only (not symbian) take even basic WordPress app for example. If Nokia haven’t sensed the disappointment about Symbian, then they were not doing it this way that release Nokia N8 with Symbian^3, advertise it big, create sensations all around and then switch all other high end Smartphones over MeeGo all of sudden. They are not that big fools if you think of it in their shoes. Unfortunately, this was only way to do what we wanted them to do. What frustrates? Why some of us thought that no hopes left? Definitely many questions will be raised after closing of Symbian-Guru and World of Nokia as these two been staying on top for long and also were among the few fans in subsidized markets like UK/ USA. Closing of these two really shakes your faith that if really something left here with Nokia. When someone releases and handles these many products as Nokia does, then you are bound to frustrate if starts making mistakes with even one or two. There is a rule that “Your two good things could be never heard, but one mistake will be known by whole world”. Same with Nokia.. but there are not just a few mistakes.. in fact kind of many..
Just for example, You got overwhelming response on Nokia N82 camera and performance of Nokia E72, but you never thought to make a device with a camera like N82 on E72 with Xenon of course. I should say, we have seen best of Nokia in pieces. Their catalogue is full of efficient and effectively priced devices. Nothing on this planet could beat a E52 in T9 and same with Nokia E72 in QWERTY.. if you are giving up over Nokia, then either you haven’t seen these two devices or just wish to have fancy things rather than real. Nokia N900 was something that was exactly the right thing to bet on and it is even now and will be even after release of Nokia N8, but that thing was never backed up by Nokia in the way, they foolishly kept on nailing themselves with promotions of Nokia N97. N900 reached India by now with a price that would stand higher than upcoming Nokia N8 (without HDMI, without 12 MP, without Xenon, without Capacitive, without Bluetooth 3.0, without that sleek looks). Just thing like this frustrates and made us think if Nokia really understand what a consumer might want. No one in the world make as many handsets as Nokia make, but at the same time, no one make people wait for the right things as much long as Nokia does. Either it be N97 or N900 or N8, its always been the same story. We understand that its not Apple that you could keep on hiding something this much long, when your people inside are much excited about their new venture and accomplishments, but still it was better if the time difference announcement and release would have been at most 2 or 3 months. I don’t accept the pressure due to a biased review, because its the same story with C3, C6 and E5 as well. We are still waiting for an E5 even if they aren’t from some another planet. They are made of just a bit polished things and for no reasons need to be kept away for this much long. Now, you tell yourself that what one should buy? Its not a soap that you have to wash away in weeks, its hard earned money and though its true like chicks that there would always one more beautiful around, Nokia could have managed a better time schedule about their devices. Somewhere I think Nokia being let down by its developers as Hardware of every Nokia either N8 or N9 or E7 seems to be right and perfectly in place, but wait is for developers and developers. Does this really take that long even after years of experience with hundreds of devices and many fan blogs showering opinions on good and bad? What Nokia still holds as their best? Best of Hardware: Being technology leader since long, Nokia keeps the advantage of technology for best of the signals, best of the battery and best of the camera. Best of experience to fit things into pocket of common man: Probably this been their biggest asset and biggest loosing side. Except N97, they never tried hard over big bucks and always kept their prices reasonable. They didn’t made products for people having big money and bashing from top over things that didn’t matter for common man, Layman. Wide range of products: Either its be cellfone or smartphones, Nokia been synonym for them. Whatever your needs might been, you always looked for one name and it rarely disappointed. Best of PR: Perhaps even after long trust over Nokia devices, I wasn’t into that much writing over Nokia products, if Womworld/Nokia wasn’t here. They know to engage people, they know to interact, they know to adopt and they know to serve what people ask for. But they do it for mass, not for self acclaimed people asking for things for sake of a cream breed. What could bring Nokia back again? The biggest and most important question… and no one could answer exactly …. we just could give our views. Whatever others might be saying, but Nokia seems to be right on path now with N8 and later aligned sets like N9, C7 and E7, but they seriously needs the positive waves from our sides. The confidence of developers: They seriously need the confidence of developers back and needs to assure them that the market share of Nokia will be unrivaled. Disciplined releases even if few: Many times some of Nokia device just don’t make any sense like last two designs we seen with Nokia C7 probably and that X5 competing Samsung Corby in looks. I don’t even that much favor devices like X6.. they could have done better. And please either deliver products in short time or don’t let them out in wild for making videos of them. Choose a proper shape for a series: If designs of Nokia N8 and Nokia N9 are some patterns, then this makes a lot sense. Trying too many designs doesn’t show that you are catering all kind of audiences, but it shows that you lack in confidence to sweep people’s opinion your way. It would be great, if resemblance of Nokia N8 and Nokia N9 may really establish a pattern and I wont mind, if they keep the same looks for all touch devices. Nothing bulkier like X6 please. Sure, there are personal views and could be added with your comments and conversations as even we don’t exactly know that what would be best for larger audience with contrast tastes. Thinking to close the post here, but I really want Nokia to surprise us by releasing Nokia N8 with a Keypad variant on the same day .. may be that could make up for the delay and could save people like me from being frustrated. 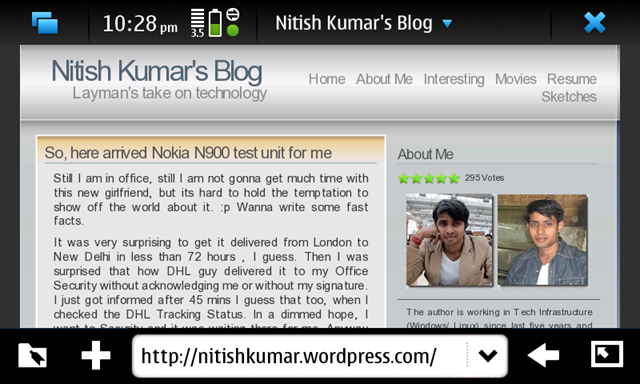 Author Nitish KumarPosted on July 2, 2010 July 5, 2010 Categories Nitish Kumar, Nokia, Nokia Products, TechnologyTags Ba, Maemo, Meego, Nitish, Nokia, Nokia N8, Symbian30 Comments on Symbian or MeeGo? What’s been wrong with Nokia and what should be done? So finally the wait ended by today noon in Noida. As I was reporting since long back, predictions went true and Nokia N900 seen the sunlight of the lands of Tajmahal. Told to hit the stores by June 11, 2010 in a price Rs. 30, 639/- with the same configurations and updated software, the flagship and game changing device ended with a disappointing side here in India that is, due to legal limitations, Nokia not launching it with Skype integrated as we have known about Nokia N900 since long. Still my complaint remains that what’s the reason to release Flagships late in India that is biggest of the mobile market in the world? The question get highlighted again as Nokia not releasing any special version for India and price is still something India users not gonna absorb that much easily when Nokia N8 already one or two months away. But at the same time, I think I should not blame Nokia as on how much less price you could have bring for a device that has 32GB Internal memory, 3.5” Amoled Touch Screen and a Full Fledge QWERTY Keypad? Moreover, probably negotiations over Skype capability with Indian Officials might be the reason behind the huge delay of almost 8 months. But still… it was supposed to have a better reception three-four months back, when there was nothing like Nokia N8 was in air. Anyway, leave the negatives apart, definitely Nokia N900 will be known as a milestone for the mobile history and its open source OS Maemo sure has potential to change the entire mobile scenario. For me, still MeeGo or Android aren’t that exciting on that ground as with Maemo, we start like we always knew it nothing looks unfamilier.. just like desktops. It was much easier to relate and apply their intelligence with it for people knowing Linux a little and sure MeeGo even on being open source doesn’t seem to make that much promises exactly. Many of us, still have reasons to believe that Maemo will survive even in presence of MeeGo and may be at some stage we will be able to install various OS’s on our smartphones ourselves like we do for our PCs or Laptops. Though eagerness for Nokia N8 launch might have faded this ‘New’ device’s launch a little, but it has to be seen that how much welcome this well awaited device will get. I still have my reasons to prefer it before Nokia N8. Do Smartphones need a new category more? Does one size fit all? Doesn’t it limit your sight, if you fail to know your real audience while selling something? What’s more worth, being specialized or doing all? Entertainment devices: I guess most of the devices fall in the same category. General purpose what focuses on voice communication and additional features like Radio, Camera etc. I want to keep devices around 10-12k in it. Target Audience are most of the users that might not be crazy about gadgets, but still love to keep up with the changing world and also those who just wanna communication in their hands. Business Devices: The superior devices, whose core focus is on providing better length of talk time and making most use of the hardware for serious purposes than entertainment. Blackberry, ESeries etc fall in this category. Target Audience are business users, who wants kind of mini-computers in their hands. Their devices might not be best of the league about the entertainment, but they deliver the best about what a Communication device always meant to be. best of battery and best of business apps. High End Devices: Could call it the premium segment, the best of technology, the best of hardware, the best of entertainment, best of versatility and the best of price. Target audience are people, who can’t let it loose and want the technology at its best even if they need to pay a price for the same. People who wanna show off or even making most of what they can get. iPhone, Android, Nokia N8 kind of devices fall in this category. I guess there should have been a fourth category, a category that could contain the flexible and very programmable devices like Nokia N900 and Android based devices, note that I am not keeping iPhone in this category. What about giving a name to it High tech devices. Why I am asking for a fourth category or even if that matters for anyone? The reason for the same is, somewhere I feel that Nokia N900 like devices are bound to loose their existence to devices like Nokia N8 that would seem to be comparable to Nokia N900 or even advanced, but we will loose the flexibility we jus seen only which it. We all techie just loved the idea Nokia N900 came up with. I mean you get a device that you could install/ re-install like some PC, could reprogram the same in whatever manner, you might be missing, flowing number of apps coz no special training required to make an app for it. Do you want to let Nokia N90 die? Will we be able to accept MeeGo if it came to give any bit less freedom to us? Aren’t we want separate existence of devices like Nokia N900? Nokia and other compnies need to know in strong words that there is a segment, which wanted the open platforms like Android and Maemo badly and there are buyers for that. Author Nitish KumarPosted on May 12, 2010 May 16, 2010 Categories Nokia, Nokia 5800, Nokia Products, TechnologyTags Maemo, Nitish, Nokia N900Leave a comment on Do Smartphones need a new category more? Recently I wrote about next coming Nokia Flagship, Nokia N8, the crown bearer of all Camera Phones in the world. There still remains a lot to talk about the same, but real thing will be when it reaches to our hands. Admirations, amazement and long wait to explore it. Wait must be making you crazy!!!! now you can do more than waiting, to make the jewel your own. A chance to make the next coming Symbian^3 experience even better, a chance to take things to another level. 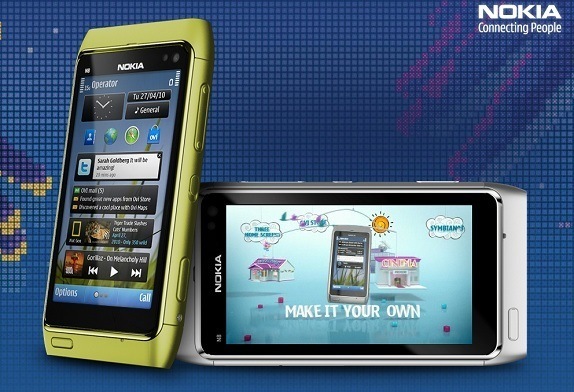 Give your idea about a new app and if it sounds cool then you could win a Nokia N8. All the details are here. That’s is what keeping Nokia on the top since all those years. First the Device from Community Ideas and then the future Nokia device, then create your app and now this. Must say, you are heading right Nokia!!! Winning or loosing is on another side, you belong to hearts. So, what you are waiting for? Its your chance to make it, go for it. An idea could change the life. Before you you read further, let me tell you that this app is not real till now like I seen this post referenced as somewhere. This was my own concept that how contacts could be improved on Nokia N8. The screenshot is obviously from an iPhone. The idea is not entirely new. There is already an app named Hermes on Maemo fetching info like display picture, numbers, webpage, birthdays etc from your social contacts and putting into contacts and calendar. I just wanted to add some more and bring it to already much social Nokia N8 in a big way. Think about a future, where you need not to ask/ tell your friends about their numbers, birthday etc or update them about changes, because its always updated right into your phone without any manual efforts. You don’t even needed to create a phone book, when get a new phone. No one misses birthdays anymore, if not logged into social connections for a while as their phones will automatically going to remind them about upcoming birthdays or events. Facebook, Twitter, MySpace, Orkut etc. all are open with their APIs and depending on privacy level user chooses, practically its not big deal to fetch such profile information from your social connections. Though Hermes doesn’t do that but the same application could be extended to add geo info as well from Ovi Maps or Google Lattitude etc. Think tomorrow is your friend’s birthday and at 11:45 PM, your phone rings a bell about that and after greeting him/ her in night, when you woke up in morning, at 9:00 AM, you get driving instructions to reach him/ her, if practically near. I don’t talk about cheesy things, but for me its a very practical, basic and very possible idea to go with. If you fear about battery, then updates could be manual/ optional or of longer durations or in place of replacing/ adding info, it could be chosen to pop up as suggestions kind of (Google Buzz way). Obviously customizations possible from performance point of view or to avoid cluttering on user’s preferences, but practically unlimited contacts space needs something like this for very sure. Not sure that Ovi will pick this idea today, but it will come to smart phones very soon, from here or there. If you think phones as your personal assistant, friend or companion, then you want this. If you think this idea is cool then vote for it or promote it in your own ways. Its there (search for Nitish). Earlier here in India, we heard a tagline for Bajaj Pulsor bikes, where they said “Definitely Male” for the killer look and feel the bike possessed. A superbike look with best of the features with affordable price for medium class suddenly changed the whole scenario and sure the tagline always stood tall and true. Nokia bringing back the similar effect with path breaking Nokia N900 and its new Open Source counterpart ‘Maemo’. Definitely Geek!!! were the first words in my mind after experiencing the test unit that arrived to me two days back. As I am learning about its features and capabilities, its fascinating me more and more. It stands in its own league and I really want to see till how much time techies will consider The Eye Candy iPhone (packed with all propriety things) something worthy to talk about. Writing about something is tough, when already much has been written about. I have already read some excellent articles about its features and possibilities and by every hour more are being added, when as of now, its not released in all parts of world (not released in India, if I know right). Its a good sign that Maemo is getting all the deserving attention and many of tech experts rated the platform even more better and stable than Android itself about the features and flexibilities (iPhone not in category). Definitely, its moving well to push Symbian behind, if Nokia places its steps right. Why its being called a complete tablet device? Tablet PC was a concept for a lightweight devices, which could be used in environment that are non conducive for keyboard/ mouse usages and provides all kind of connectivity options. Nokia N900 defines the Tablet PC with both the input options; physical qwerty keyboard and touch screen and continues to offer every kind of connectivity options ranging from GSM to Wifi. (Right now, its not shipped with Handwriting recognition like Nokia N97 or even my Nokia 5800, but its likely to be included in next updates). In addition, its equipped with excellent stereo speakers, a brilliant 800×480 screen and 5MP camera for stills and videos. All this in a package of 181 g.
What so special about Nokia N900? Its not first pocketable Nokia device running Linux; N770, N800, and N810 already ran over Nokia’s Debian based Maemo Linux distribution, but what makes its special is updated hardware and most importantly addition of cellular connectivity. So, if you have a data plan or best if 3G one, then you have an always on and connected to internet device in your pocket, which wont make you feeling missing your iPod or Digital Camera. It has the hardware to support FM radio, but as they are still in process of building a perfect FM Radio app, currently no FM radio app is included. It got the same ARM Cortex-A8 processor 600 Mhz with 256 MB RAM, 3D graphics accelerator with OpenGL ES 2.0 support and 32 GB storage as best of iPhone 3GS and arguments about accurate resistive touch screen Vs flashy multi touch capacitive screens will be continued, but real deal breaker for geeks is root/ssh access to the core of the OS (although for security reason, its not enabled by default and requires two packages namely rootsh and OpenSsh) and an open source already known OS to install all kind of apps. Yes!!!! I have read somewhere that with more than 1, 40, 000 apps in iStore, one has same number of reasons to go for iPhone, but just imagine, you have a real Linux Phone in your hands. The operating system, we geeks already know much about, the OS which could customized in as many number of ways as we could imagine. Needless to say, 1,40,000 would be a much smaller number, once Maemo gets full attention of Linux Developer communities. Moreover, it already has many packages, which we were used to see on debian linux, just waiting for your apt-get and honestly tell me how many of those ‘140000 apps’ actually get used by people? Just check the link for the facts. What it offers and for whom? Trendy Youth: A show off kind of trendy look, seamless integration with Social Network Clients, IMs, fast typing options, smooth and consistent UI, stereo Music, FM, decent and fast camera, huge storage for mp3 and videos, big screen with high resolution and crisp colors, snappy browsing experience. Nokia N900 offers a high tech and cool look (though a little bit heavier), social networking widgets could be kept on home screen to be always updated about happenings over them, in-built services of Gtalk and Skype, qwetry keyboard and auto complete typing options with intelligent learning dictionary makes typing experience brand new, a glassy UI like never experienced before with Symbian, Stereo speaker with excellent quality, FM Transmitter that will let you even transmit your own songs (FM Radio apps about to come, not yet included), 5 MP Camera with flash, 32 GB Internet Memory/ 256 MB RAM/ 1 GB application memory and option to add storage up to 48 GB more by cards, 3.5” resistive touch screen with 16M colors, 3D graphics accelerator with OpenGL ES 2.0 support and 800×480 resolution, added support of Flash Player 9.4 for exactly desktop like browsing (it runs even flash heavy farmvilla, which I dont think any other Smart Phone runs). Its support for video format could be extended by installing codecs. I was able to play various format movies (popular avi’s) by directly copying into it. Business Users: Push Mail, Connectivity options like Bluetooth, 3G, Wi Fi, qwerty keypad, flawless desktop like browsing, built-in VOIP and IMs, PDF/ Doc viewer, extra-ordinary signal reception and battery life. Top of that a much stable OS and decent backup options, convenient and accelerated charging options. Nokia N900 offers extensive mailing options as I found while configuring, push mail for exchange got upgraded by last update, connectivity options are maximized with all the options available, flash enabling, high resolution big screen browsing also got a big push by additional option of installing Firefox for Maemo, PDF Viewer is included, although I have to test yet, but installing Open Office must be possible with touch support, signal reception and battery life has been outstanding even when I was using it on always on Wi Fi and 3G connectivity, impressive is its handling of various connections automatically (it surprises me the way it handles switching between Wi Fi to 3G and then to EDGE), Maemo seems to be not only pretty and glassy but a rock like OS, there is also a backup apps included to take time to time backups, charging could be done by connecting to USB and mini USB charger has also been provided, more is a convertor that could connect older thick charger of Nokia or recent slimmer one to this USB model. Data transfer speed stands amazing. For transferring a 700 MB file in storage made, the time taken by it was less than a minute. The Geeks: All the requirement set mention in above two categories, R & D and customization options, programmability of device as per needs, full IMs and uncompromised connectivity options, In all, a device which could be termed a complete in-control PC in their hands. 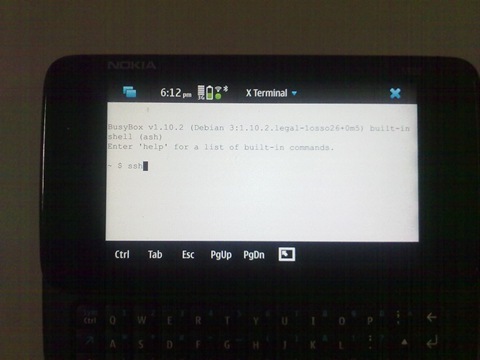 Nokia N900 offers root access for the OS, linux console, same architecture like debian means same way of playing with scripts and services, possibility of altering widgets at low level, possibility of configuring the logs in certain way, built-in VOIP and IMs like Gtalk and Skype could be kept always on, connectivity is automatically handled in very beautiful ways, its equipped with a full broadband speed provided with wireless, adding various apps and options to connect windows/ linux servers via telnet, ssh, scp, vncviewer and rdesktop makes this device something like never seen before. For me, in geeks section, no other cellular device in the world comes near to this one. In someone’s words “It’s a true mobile powerhouse in every sense of this word, wrapped in a very eye-candy and functional UI at that." Keyboard: Honestly speaking, I never liked Blackberry kind of qwerty keypads and just sight of landscape qwerty keyboard was a treat. Still I was doubtful that if my finger would be able to slide that comfortably on these small button, but the experience was quite amazing day by day. Now, I even could think of typing whole blog post over the same, something which never could have thought with some complete touch screen or somehow adjusted Blackberry kind of keys. Moreover, dictionary and auto complete typing makes your life much easier. I typed a name only once and when next time, I type a few words of the same… it completes the same.. impressive. Such a smooth experience with keyboard, I felt only once before with my Dell XPS M1530 Laptop’s keyboard. Although still I wish if I was having some Windows Key to come out of things (although Ctrl+ Back Space works to bring task Manager), some red key to kill all or some combination of keys to serve the same purpose. Display and touch innovations: Nokia used an interesting way in touch UI navigation. under any screen, if in place of clicking any icon, if you click next to that then it will bring you back on the earlier screen (might be confusing to few in start, but its really convenient style in deed). Its bigger display actually make it possible viewing webpages without compromising anything, a true out of the box browsing experience. I also learned a trick that if you move your finger clockwise, then it zooms in the screen and same way zoom out, if you move anti-clockwise. Smart. Big screen size makes this device a handy ebook reader, while you are travelling. I just come to re-read Three Mistakes of My Life from Chetan Bhagat over it in a journey. Connectivity and accessibility of the same: Although all the touch screen device from Nokia started the same way that we could access them by tapping on battery icon, but Maemo provides options to change the connection at your fingerprint always in easiest way. If not enough then it automatically switches between connections beautifully to keep you focus on your tasks only. 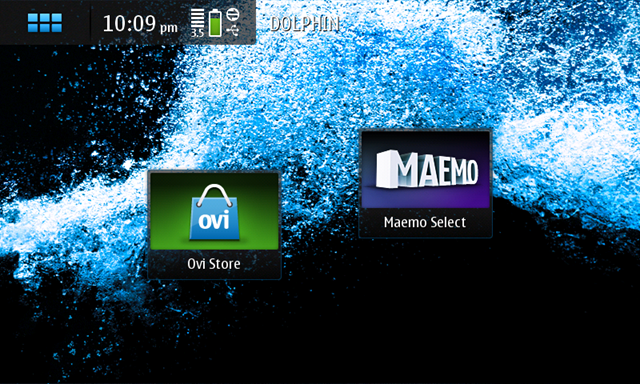 Multiple desktops, multiple widgets: It was new and stylish feature with Maemo, which comes very handy in situations. There are four different desktop and any of them could be bring in or out by just sliding finger left or right. 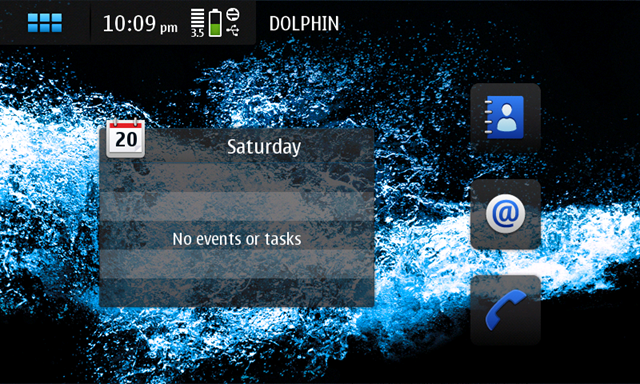 As many widgets could be added to each one of them (limited by widget size) and arranged accordingly. Like one desktop for news, RSS feeds and social network related apps, other one for music, clock, calendar, temperature etc and so on..
Windows/ Linux like usability in your pocket: Its kind of panacea for we sysadmin’s and I bet it would be hard to resist many of us from not buying this considering its still maturing phase. With this, I am always live anywhere for handling any emergency related to my office servers. Just will stop the bile, will look for nearest coffee shop and will be sitting their to handling Windows related issue with help of rdesktop and linux related issue with traditional ssh and scp. qwerty keyboard don’t let you miss your lappy. Travelling much lighter now without laptops. MMS not supported as of now: Yes!! we thought iPhone out of question as it doesn’t support MMS and here we face with Nokia. Shocking!!! Reasons as Nokia people call it “Its first an internet device and second a phone, so was it was not not needed”. They are not clear about adding the capability later on, but there should be some serious reasons behind it. Although a little Googling landed me on the page, which figures out the way out with a package name fmms, although have not tried as it asked for four dependencies, so skipped it. Will try soon. FM Transceiver is here. Good!! But where is my FM Radio App: As I mentioned, its still under development to make it a perfect one, but again why not to launch a decently working one at least. 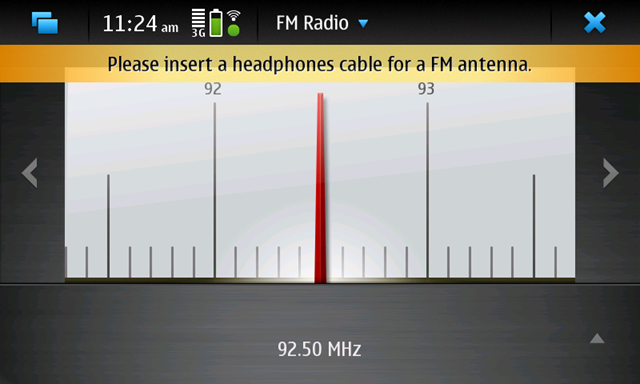 It has the hardware and FM radio could be run by third party apps even now. But still we are in waiting to get some official app from Nokia. Checked out the app store, just needed to search FM Radio and its already there. Surprisingly amazing in clarity and performance with intuitive looks. One just need to slide right or left to change the frequency. Really Wow!!! Still headphone required to be plugged-in, why so? Be ready for bugs like other open source products: Although tested well by Nokia, but still the transition from a Tablet Device to a cell phone seems to be missing a few points here and there. We seen the earlier two issues are due to non development of official apps and here is a bug, which seems to be crucial for Indian market, it does not support USSD numbers like *141# or many like that. Sometime likely to be resolved in next updates. Switching between Landscape mode and portrait modes: After being used to of other devices since Nokia N82, it was surprising to see that Nokia N900 remains in Landscape mode always, accept in case of incoming, where it changes to portrait. This feature is not only a style but is handy in cases. Have to see that when it will join back the road. No Support for Google Apps as of now: Being a new platform makes you suffer a few things. There are almost no Google apps for Maemo, though all apps supports (Google Docs etc) full functionality in their web versions. Firefox: Although Nokia N900 already provides excellent browsing experience like Firefox and its that good that I am not missing Opera 10 Beta here, but still those ones, who wish to have the almighty with them with complete sync with Firefox on their desktop, here is the Firefox for Maemo. Note that its around 12.8 MB. FM Radio*: I already mentioned that this app not included in the shipped model as of now. Don’t know what are the exact reasons, but find this app just flawless and like never before. Just check the pics in upper section of this article. Really innovative. I also found the reception even better than my existing Nokia 5310 XpressMusic, Nokia N82 or Nokia 5800.
rootsh*: In console of Nokia N900, you can run a command “sudo gainroot” for gaining root access, but that requires that you should have enabled R & D mode. A work around is Rootsh package, which allows you to quickly run a command on the same command line without using a root shell (like sudo). Without this, I was not even able to do ping and after this, I am God. 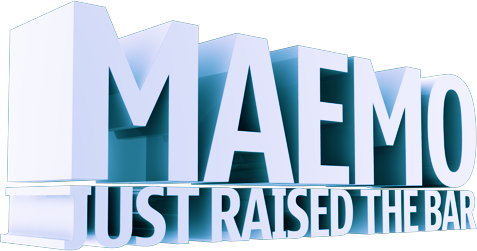 That’s what makes Maemo special. OpenSSH*: As a surprise to me, SSH package was not included. I searched the app store and found OpenSSH Server and Client. Simple to install and now you are in command of your web servers or other Linux Servers remotely. Note that OpenSSH server will ask you to set a password, set it but don’t forget it. rdesktop*: Its just awesome. I thought to have some way to remotely access and recalled my old mate rdesktop. Its here in app store. Install it and it was unbelievably smooth to operate on even 3G connections. I have given a screenshot in upper part of article. Its so cool to see mouse cursor moving along with your finger. vncviewer: As I see, its just about recalling our Linux apps and finding their maemo ports. vncviewer is an excellent application to interact/ show with user’s desktop on Windows/ Linux (provided vnc server installed and configured on other side) at the same time, when user is working. You could only watch or could yourself take control of the same or both of the side could work one by one. A must have for specially we Sysadmins. 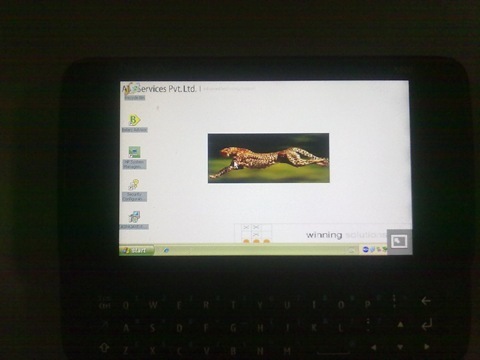 JoikuSpot: As I discussed earlier, this is an application, which turns your Nokia N900 in a powerful Wi Fi spot for your Laptop or even your friend’s at the same time. 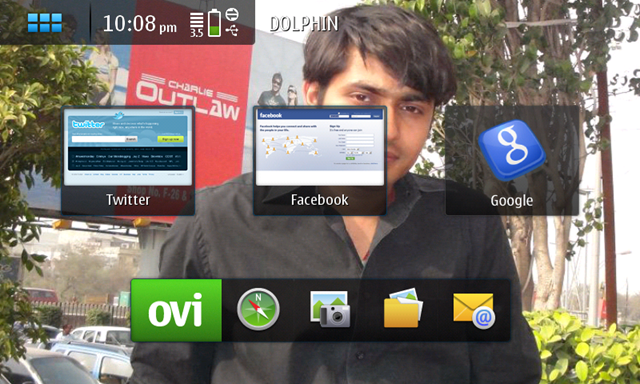 You know that how handy is that in Indian Scenrio even if 3G not fully available till now. Recorder: Till now, I have not been successful in finding something could keep on recording your calls automatically, but this one could be handy to record the calls, although needs you to manually push it while talking. OMWeather: Although there is number of widgets, which one might find handy for adding on any of the home screens, but I find this one quite handy. Didn’t got accuweather one, but this one works well. Shortcut to install ForecaWether already there in applications, but I find this one very customizable and efficient. Zoutube: The brilliant YouTube Client, which I would be trying to find for Symbian as well . Amazing UI and I find it even better than Official YouTube Client. It even provides option for downloading the video being viewed (could be deal breaker for many). KOffice: Yes! that’s the beauty of Open Source Products, they can’t let you deprived of convenience of alternatives. Finally, we got KOffice Document Viewer here. Although its a huge 9 MB App and you needed to create an Extras-devel Repository for that. How to do that? Simply create a new repository with web address http://repository.maemo.org/extras-devel and you will find it there with name of FreOffice. Google Latitude Updater: Another huge size app, with size of 5.8 MB around. But it brings my beloved Google Latitude to me. May be rough and naive kind of in front of Google’s one, but at least there is something, I could think of updating my location and keep myself tuned in. 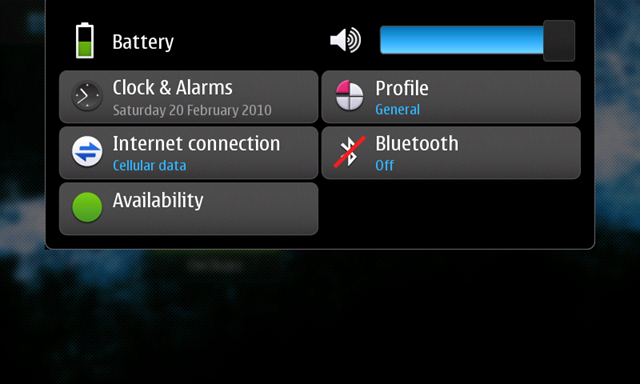 Like many other useful apps, you will find it right there in your Nokia N900 app manager after enabling Extras-devel. I could keep on talking about this amazing set for so long as set of possibilities are just …. but making me stop here. Will update more things like shortcuts, screenshots about it later on. I am sure that iPhone might be history in front of it due to its openness in Geek community at least. Its not easy to lure, we Indian buyers on basis of EyeCandy only, we want something really solid that’s where Nokia always ruled. Thanks Paul for providing me this set for review. Its already an forgettable journey.